Problem. 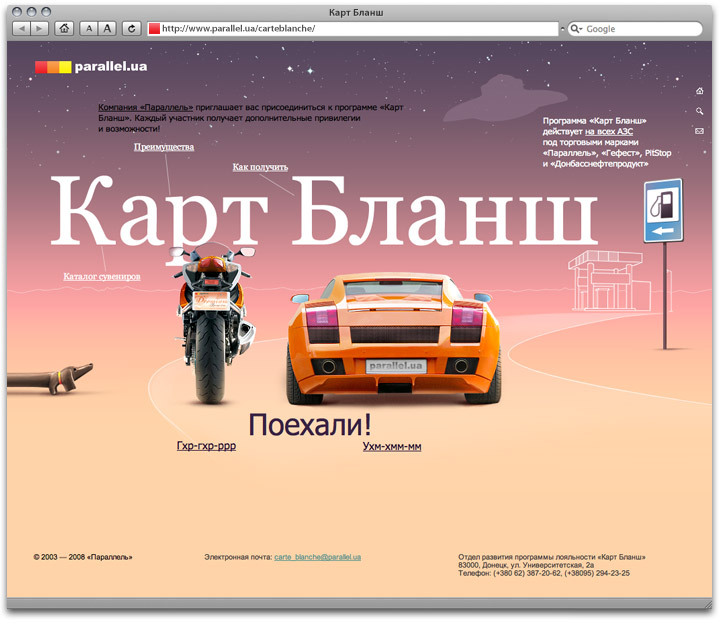 Design promotion section for the Parallel site. Carte Blanche is the name of a loyalty program that allows customers to collect bonus points for buying gasoline at Parallel stations.